There is ample safe parking and you will know the kids are safe while they are cycling or rollerblading around this peaceful, secure neighbourhood. Golf-cart paths connect Ellefsen Village to the clubhouse and other amenities on offer at the Estate, including our tennis courts, bowling green and swimming pool. You can always hitch a ride on the “Langebaan limo” golf cart that ferries guests between Ellefsen Village and the clubhouse. Attention to detail such as style, convenience and security all ensure that guests will thoroughly enjoy the ideal break in our golf suites!! 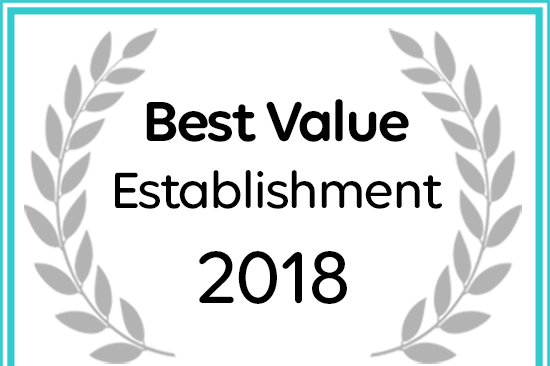 Langebaan Country Estate has been named a 2018 Best Value Establishment on Afristay. 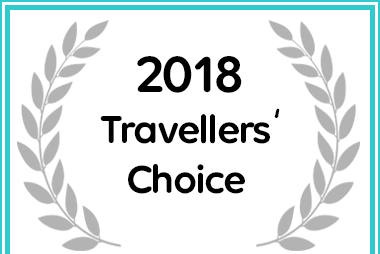 Ellefsen Golf Suites received a Travellers’ Choice Award for 2018.